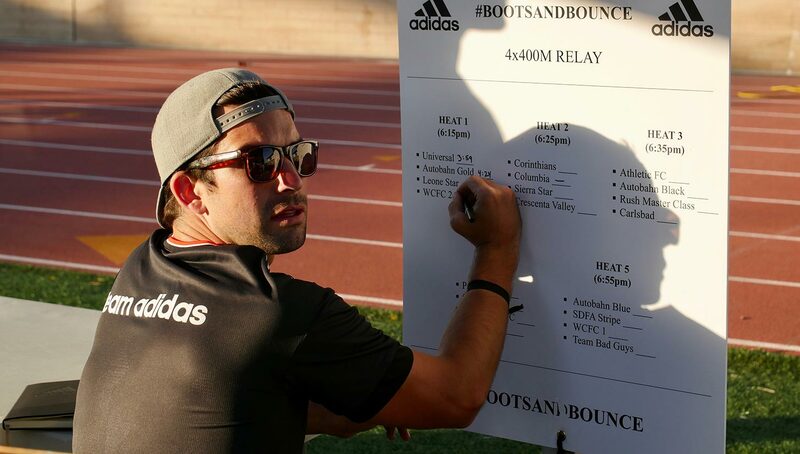 Adidas hosted a rare football-meets-track and field competition at Santa Monica College this past Saturday, April 29, that put athletes to a test of endurance and skill, while showcasing the company’s latest advancements in boost technology. 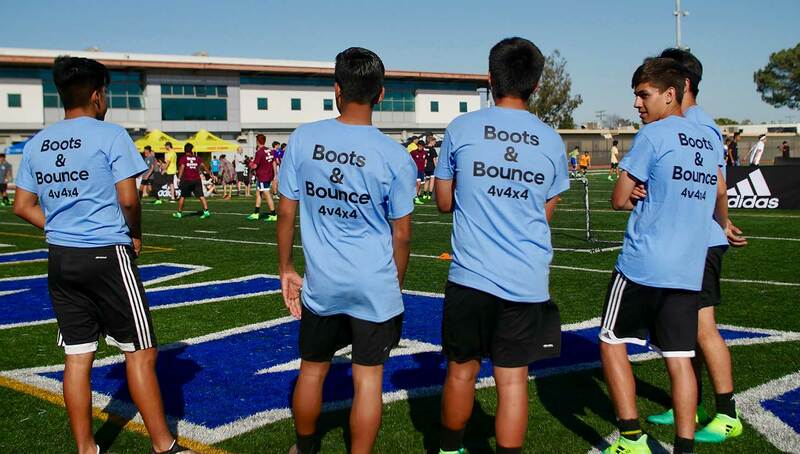 The “Boots and Bounce” event featured 20 SoCal youth football teams (ages 16 to 18), recruited by Adidas’ West Coast Regional Director of Soccer Cairo Salvatierra, from nine different clubs around the L.A., Orange County, and San Diego areas. 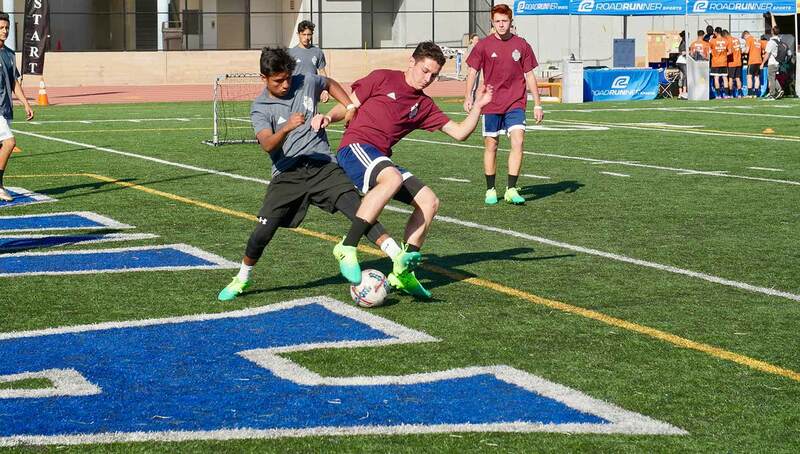 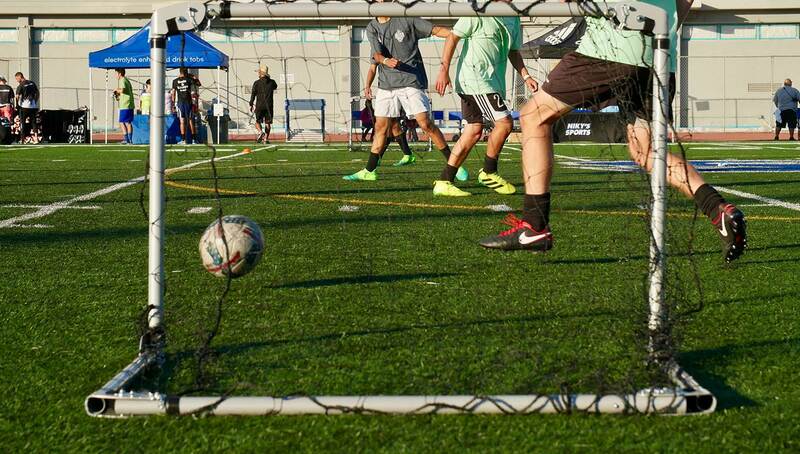 The tournament began with a 4v4 football match, followed by a 4×400 relay race, as well as music, artists, and some alluring tech from SoCal Soccer Player Development Center. 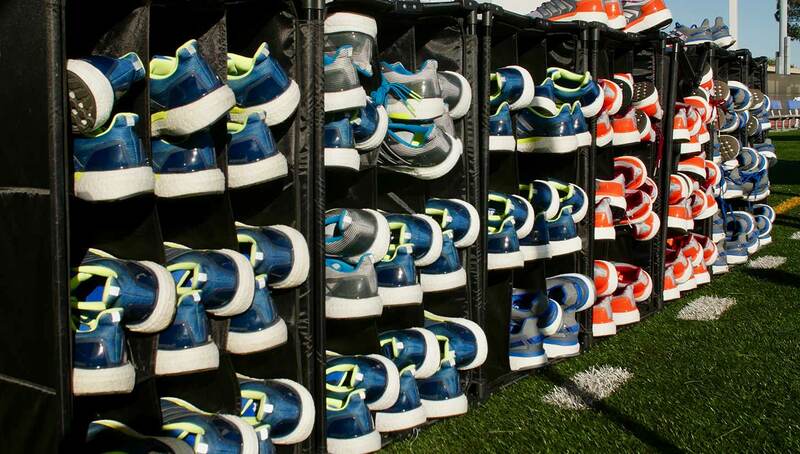 “A lot of these athletes are dual athletes. 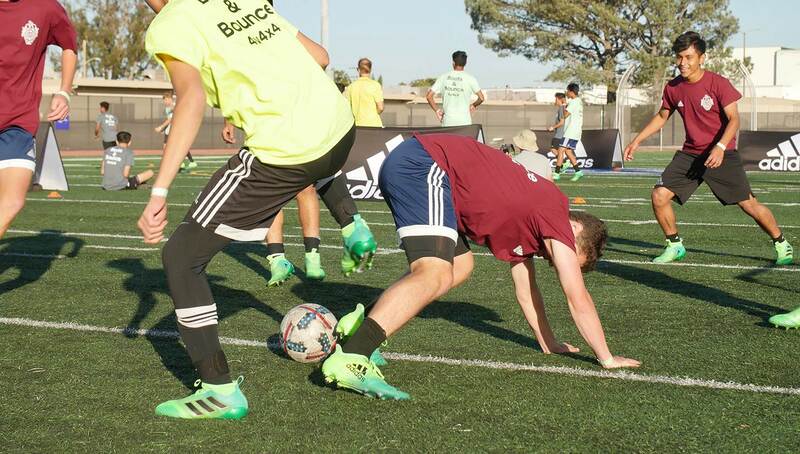 They do cross country and soccer or track and soccer, so I thought it was a cool time to do something a little bit different or a little more unique,” said Salvatierra, who organized the event along with Adidas Running rep Matt Hathaway. 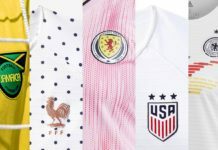 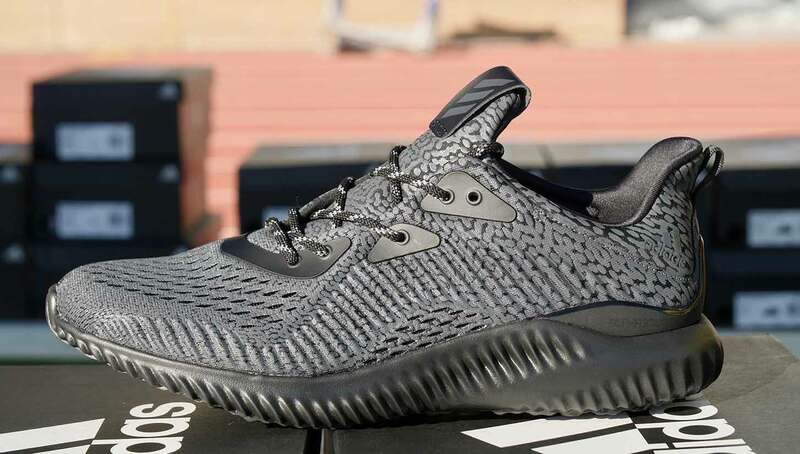 “We have a lot of cool technologies like the Boosts in running shoes making their way into soccer footwear like the Ace line,” he explained. 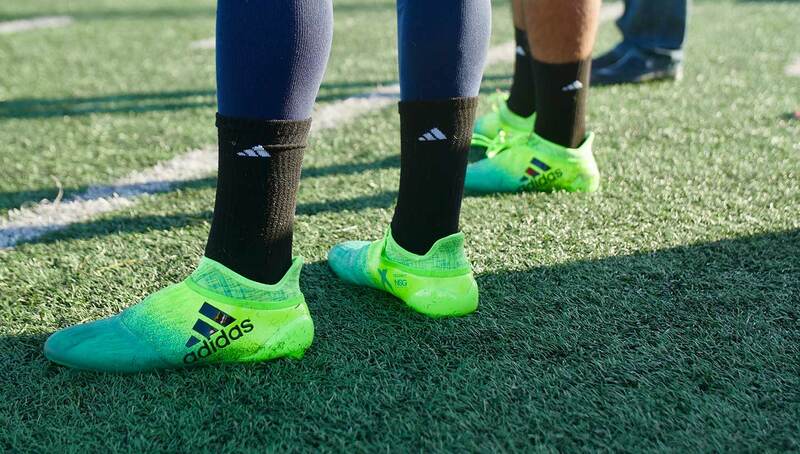 Adidas has been an important influencer in the advancement of sports technology that have helped athletes beat records and perform at higher levels. 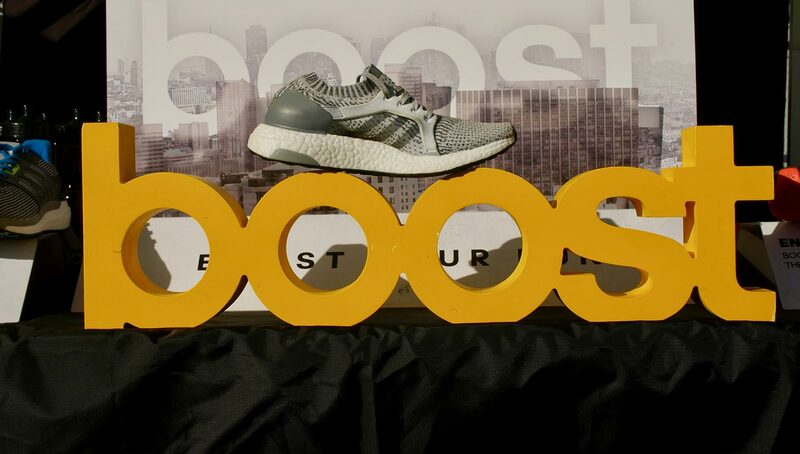 At the event, participants were able to try out a variety of footwear, including the latest in their turbocharged soccer shoes, Boost models, and the Alphabounce running line. 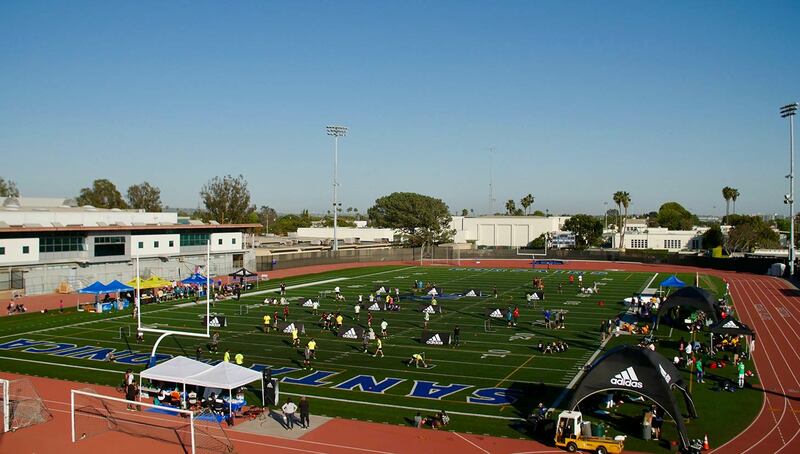 This approach to multi-sport athletes is one way Adidas is reaching out to a younger generation, not least by testing their football skills after having them race around the track. 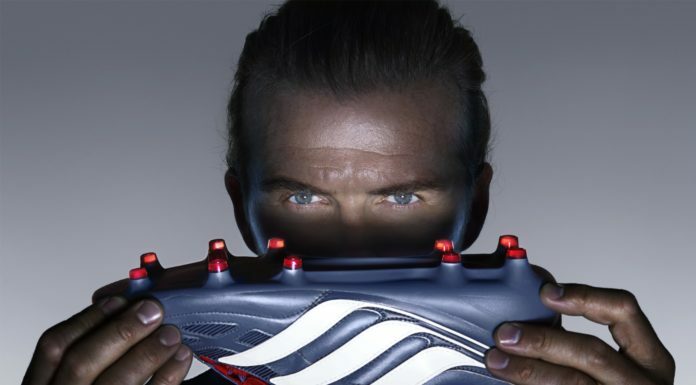 How many times has endurance made the difference in the last bits of a football game? 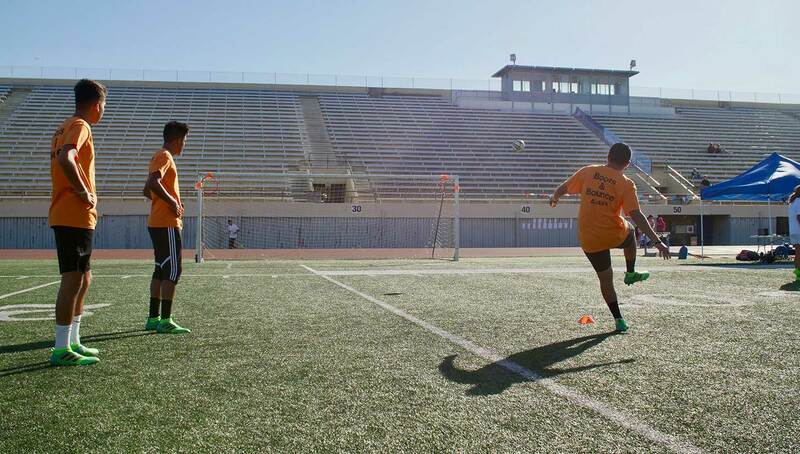 The pressure to perform under duress is a true test of a player. 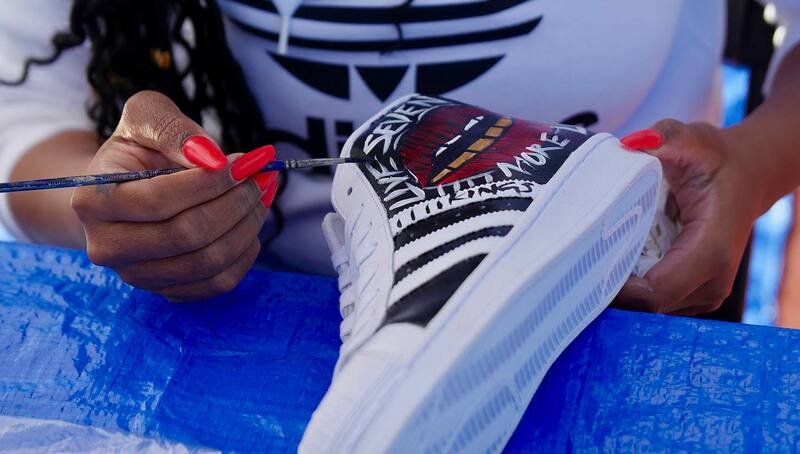 Alongside the competition, the event also featured selected artists who hand-painted a variety of classic Adidas models, including the Stan Smith, Samoa, and Superstar. 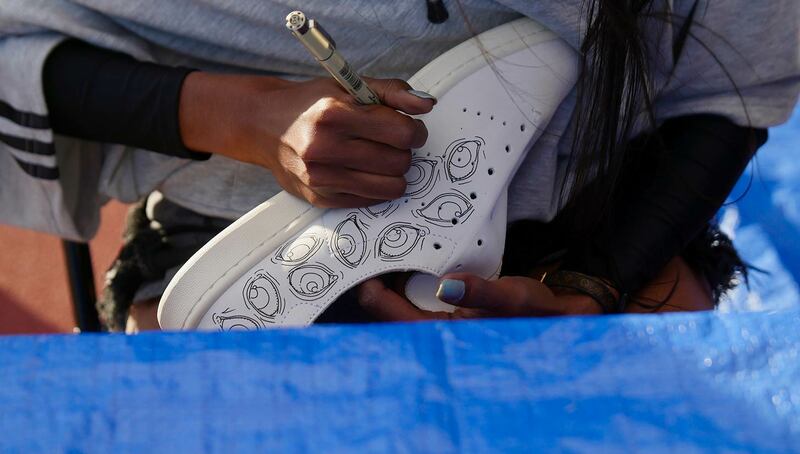 Jenna Sherman, a Los Angeles-based artist, was one such featured painter. 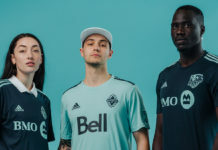 “As a DJ, I learned quickly that energy is huge when it comes to connecting with crowds. 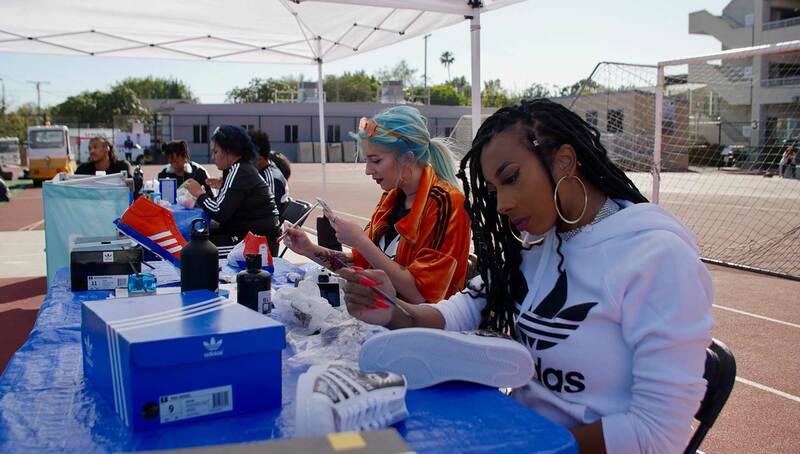 Painting people is like capturing their essence and their being and getting that energy out of a painting is the coolest thing to me,” she shared. 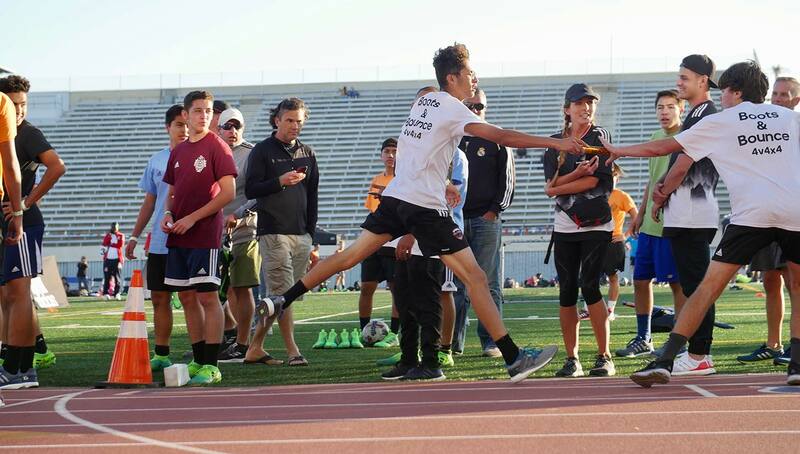 The unique items were raffled at the end of the day, along with L.A. Galaxy suite tickets, the Adidas miCoach Smart Ball, and of course some select soccer and running shoes. 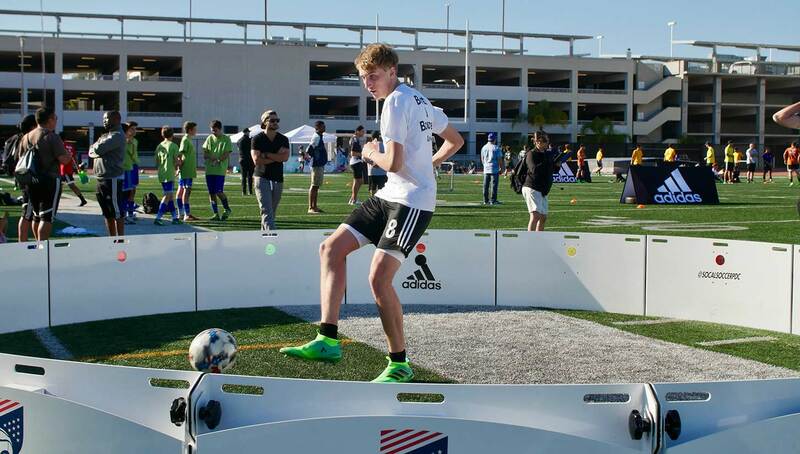 Niky’s Sports, a sizable retailer of Adidas Soccer, was also on hand to supply giveaways, while SoCal Soccer Player Development Center brought their Elite Skills Arenas—essentially a smart ring with panels that light up and test players’ passing accuracy and timely reaction. 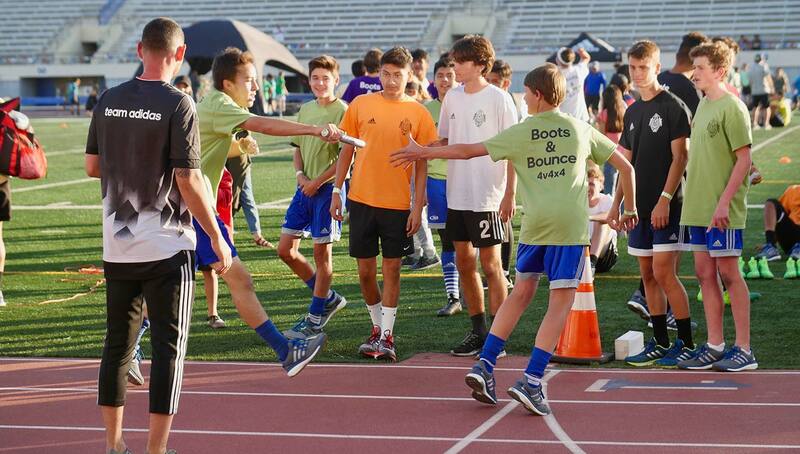 Winners of the Boots and Bounce event received a free pair of their favorite Adidas Soccer boots, a $120 voucher for a free pair of running shoes at Road Runner Sports, and a suite night at an L.A. Galaxy match.